I want to show you my progress on my Documented Faith (DF) planner. 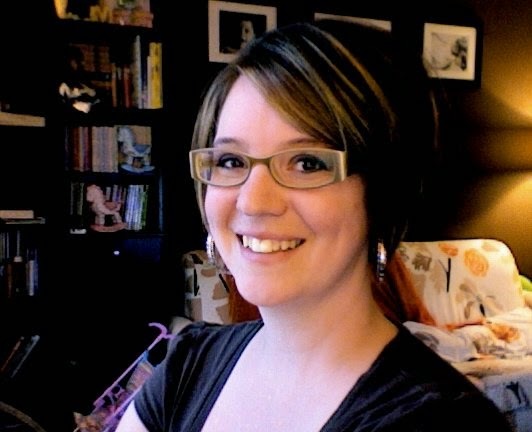 I joined an online community run by Stephanie Ackerman. We get a word of the month to focus on and weekly verses to study and pray over. There's a lot of latitude to make it your own and I've explored on Pinterest many pages from the sister group Documented LIFE. 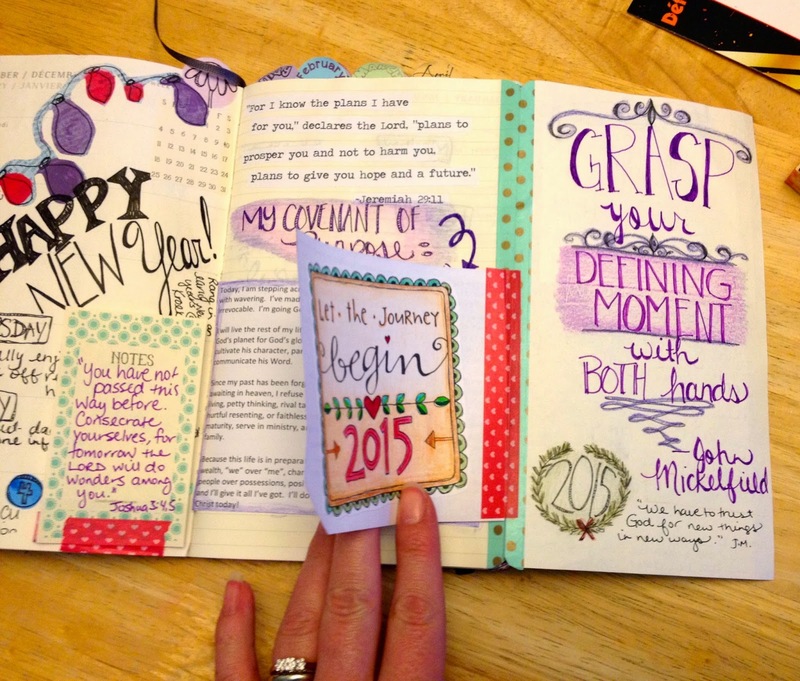 I've explored Stephanie's blog for inspiration and in the end I'm just winging it. 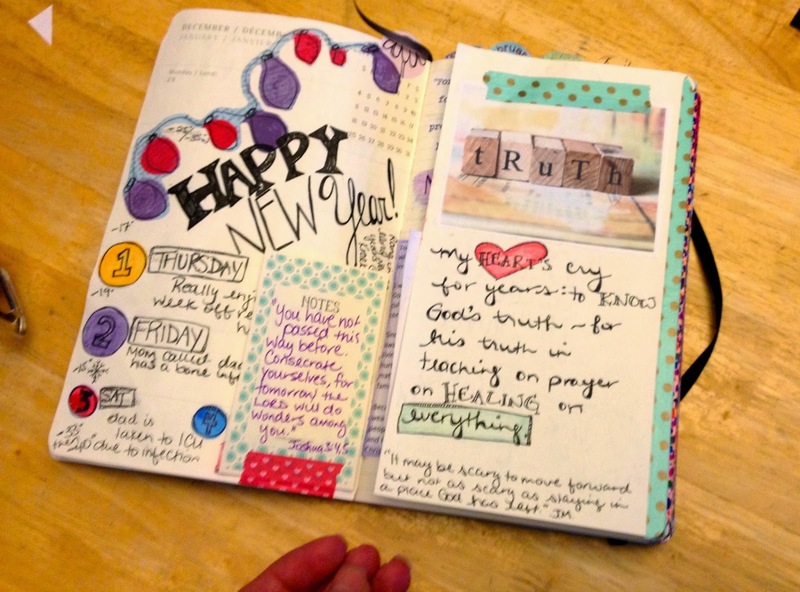 I want my planner to be a mini journal of sorts, a beginner's version of an art journal, a place to remember what God has done and is doing and a creative outlet that has some daily function. I think it's going to be a collection of "me" on paper. I'm loving it already. First I prepared my planner with suggested washi taped edges. 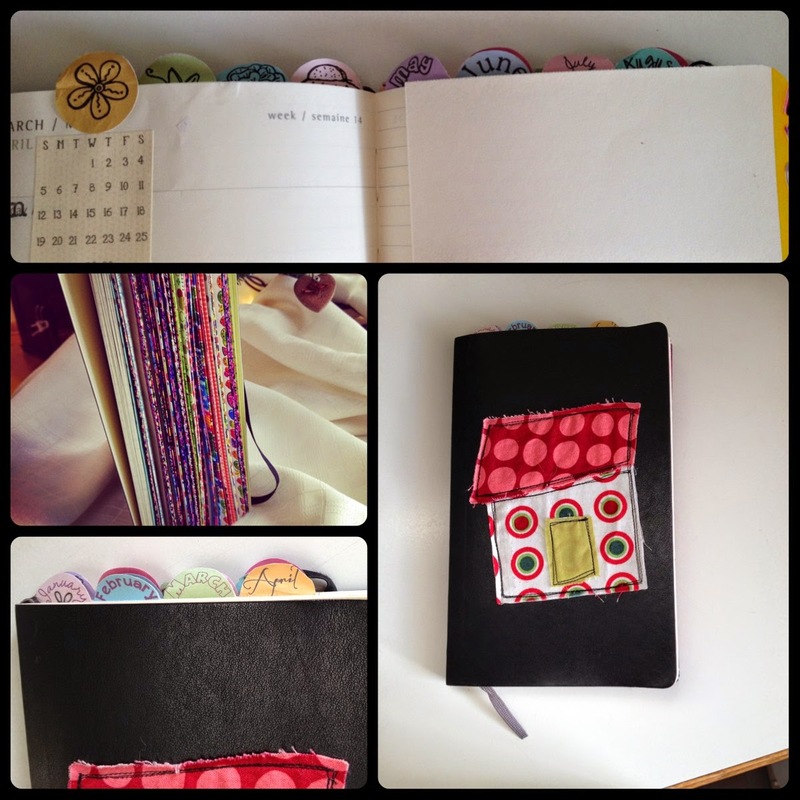 Then I made monthly tabs with labels I cut into circles. I sewed on a happy scrappy house on the cover (yes, with my sewing machine). Next I did a few pages inside. 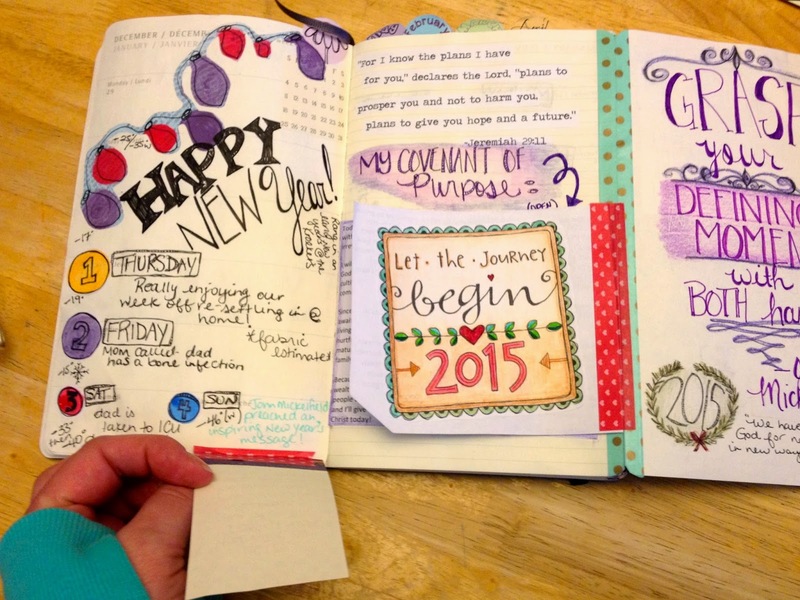 Happy New year page - more painting tidbits and the date circles as inspired by this lady's pages. My contact page resulted in wanting to use my practise paintings and needing a cover up for the stitching from the cover. Finally a few family pics. I followed Stephanie's instructions for printing little pics from iPhoto. It worked great and I'm sure I'll be using this technique a lot over the year. Alberta or bust packing list - colouring page inspiration from here. Stephanie posted the list of words for each month and suggested we use these month at a glance pages in the beginning of the Moleskine (a suggested planner, but NOT required). I realized after I posted this on Instagram that I made an error and that January's word is TRUTH not trust, but I'm using both hand in hand. We can know truth, but we need to trust in that truth. I've seen on Facebook groups and Pinterest and on blogs that I follow, that people have been choosing a focus word for the year. OLW has in-depth details, but I'm not following a specific group or project to go with this. I am praying that God will show me more of what this word means for me this year. FIGHT. This word came to me for a few reasons. At the end of last year, David and I went for prayer after church and the gentleman who prayed for us prayed that we would get our FIGHT back. I'd said many times last year that I was tired of just surviving and wanted to thrive. I think it's something I need to FIGHT for. This is just the starting point and I'm excited to see where this goes. So, week one's verse was Jeremiah 29:11 This is a favourite verse of mine and I was happy to journal it in my Bible as I hadn't done it yet. 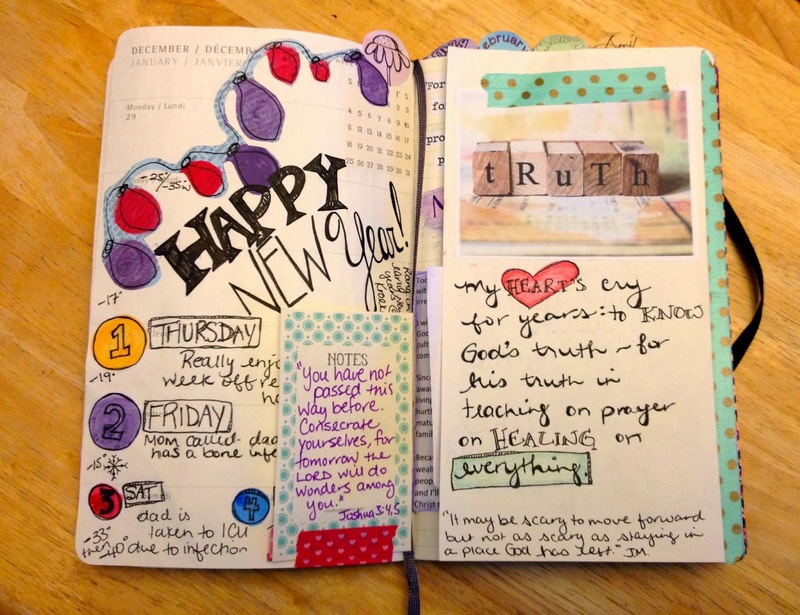 (The beauty of DF is that is works hand in hand with Illustrated Faith aka Bible journaling). Here's my week one at a glance. The right side is a tip-in. The TRUTH image is from Stephanie and I journaled under it. On the left there is a Bible verse on a mini tip-in that I wanted to remember as it was the focus verse from the sermon on Sunday and wouldn't fit in the space I had left. I just used washi tape. I've been keeping track of the temperature (it's not necessarily the temperature that lasts all day, just whatever is listed when I look it up online - just a general idea) it's been crazy cold the last few days -40, -45, -33 (I always use the windchill temp. because that's what you feel). This is celsius and for reference, -40 is the same in celsius and fahrenheit. "Stupid cold" as my friend says. Opening up the tip-in reveals, in the middle, our verse of the week and underneath in another tip-in (it was how I chose to make it all fit) is a declaration that was read at our church this week. I'm waiting to find out the source to share with you, but they had print-outs to take home and I wanted to keep it and re-read it often. The picture on top of the tip-in was a free colouring page offered up by a lady on my Bible journaling FB page. I coloured it with watercolour pencils. On the right is a quote from the sermon by one of our pastors, John Mickelfield. He preaches the best inspirational messages for the new year! This sermon isn't posted online yet, but here's the link to the sermon main page and it should be listed soon. UPDATE: Rick Warren wrote this declaration and led his congregation in declaring it for the first time on their church's 25th anniversary. You can read an article about it here. Here's how the little tip-in flips out. It's busy, it's messy, it's full of nuggets and it represent me. So glad to be a part of this journey. 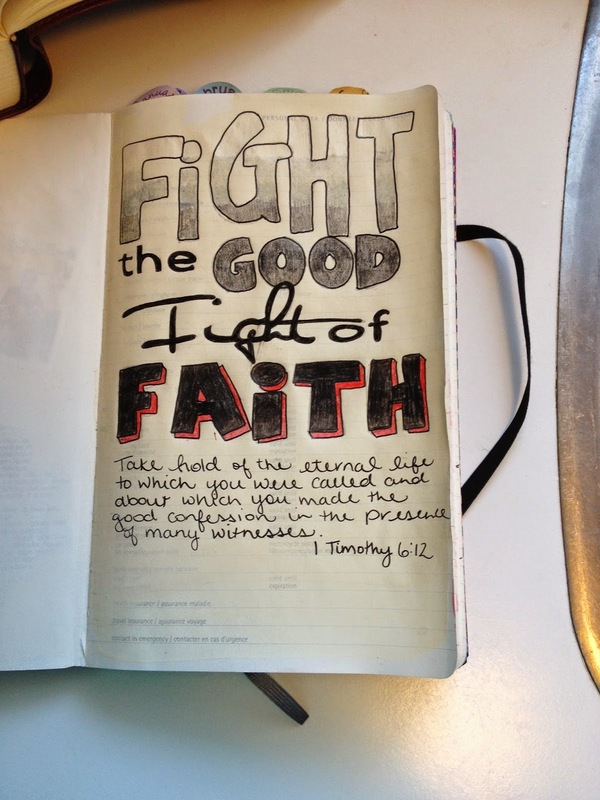 My name is Lynn and I am also doing the Documented Faith. I love all your art! I am still trying to get started and going! I read your covenant of purpose and I sure hope you add a link. 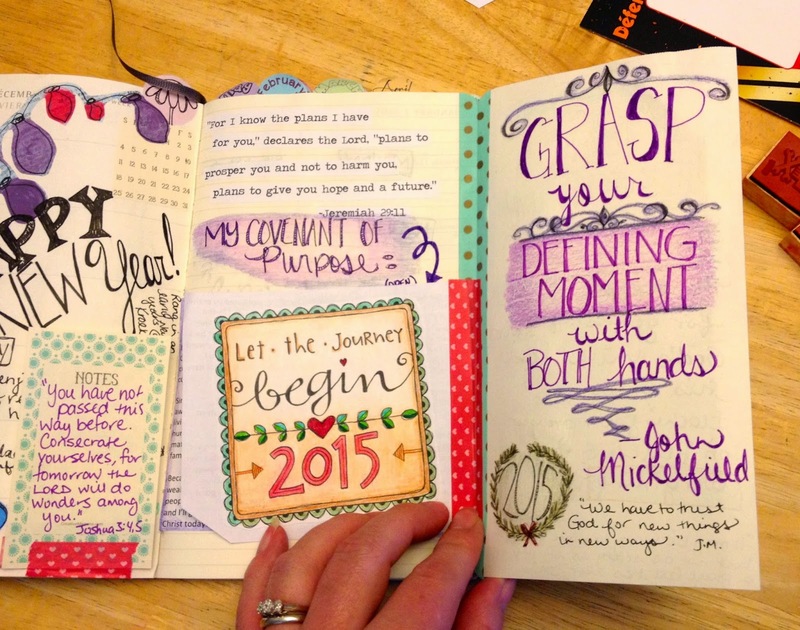 Your journal is gorgeous and so inspiring. I love your work. I m also doing DF and would love a link to the purpose printout when you get it. Thanks. I recognized your work as I have your Youtube video of your Documented Faith journal in my Stephanie Ackerman playlist. I never even noticed if you had a blog. :) I'm tracking Stephanie's online footprint tonight. 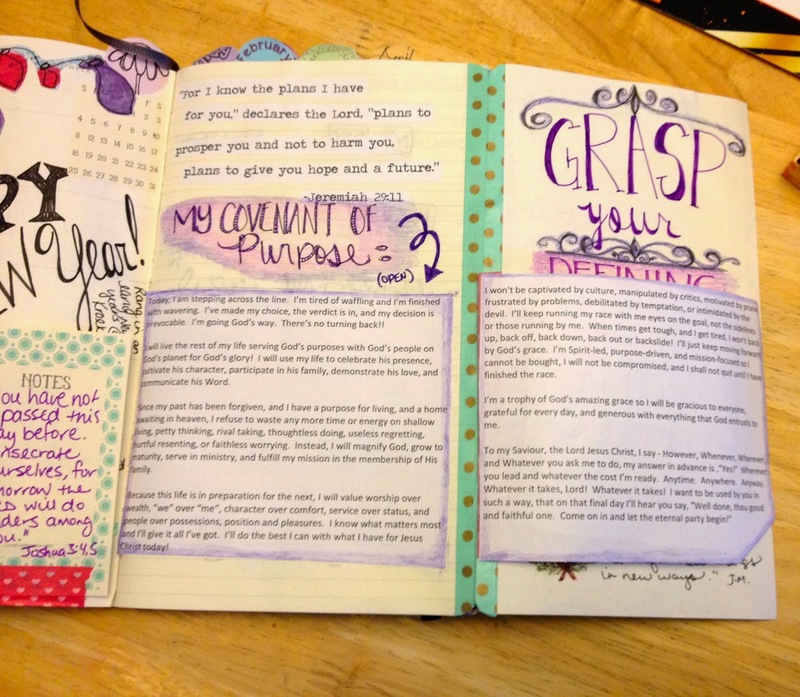 Love looking at others faith-book journals, because I've struggled with mine, not knowing what was expected as I missed the explanation in the beginning as to what it was supposed to be all about. 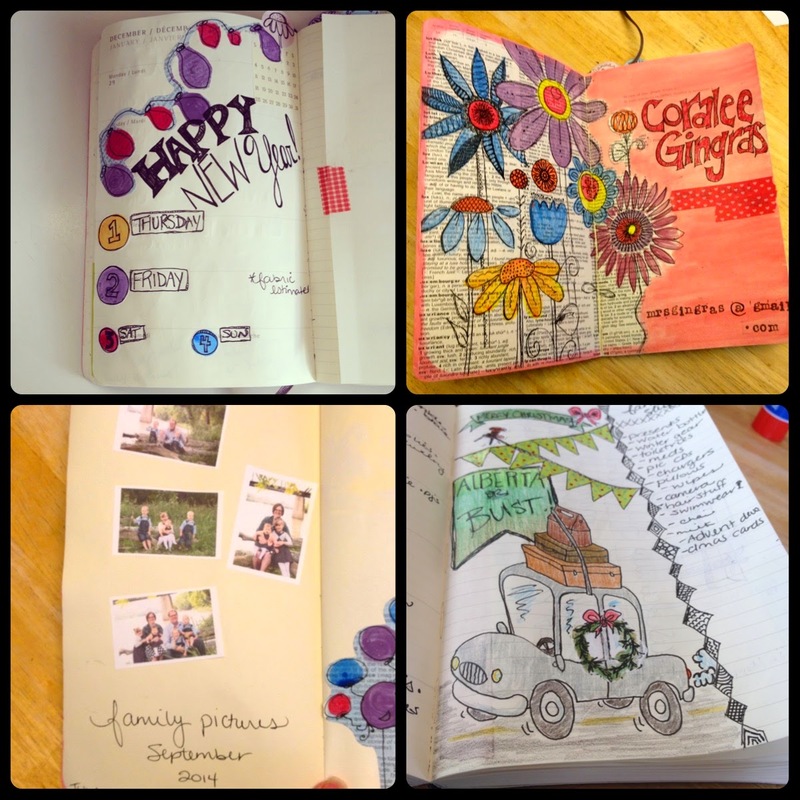 I began as a scrapbooker, then went to cardmaking, then atc's, and now "art-journaling?" Have a great day!